Cloud storage has become one of the hottest concepts and buzz terms in technology in the last few years, and indeed its benefits are simple to see. Most notably, cloud storage systems offer incredible convenience benefits, allowing remote storage and access of files from a variety of devices. But moving beyond basic convenience, data security is also a significant aspect of cloud storage, and one that offers both fresh concerns and unique benefits. Here are 5 of the most significant security benefits you can enjoy with access to a unique cloud storage system. The #1 security benefit is less of a specific feature and more of a broad concept. Whether you’re using data on your iPhone, your desktop computer at work, your home laptop, etc., all your data can be centralized in one secure location in the cloud. Not only does this offer the aforementioned convenience, but it also keeps this data securely stored in the event that any one of these devices is compromised (as in lost, stolen, broken, etc.). The specific protection varies depending on your cloud provider, but the bottom line is that storing data in the cloud means that the physical hardware behind the storage system can be located in a secure off-site location. For example, popular cloud provider Sharefile offers its users SSAE 16 audited data centers, which essentially means that they are subjected to the most stringent security standards. 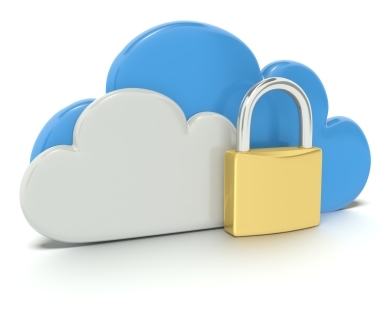 Depending on the cloud provider you use, you may also receive specific security for the transfer of your files, either to the cloud, or with other users of the same network. This security benefit is particularly useful in business settings. The ability to send encrypted file transfers can be extremely valuable in ensuring the privacy and integrity of your data transfers. We’ve already covered the concept of centralized data, allowing you to maintain access to your work even if your devices become damaged. But it’s also worth noting that disaster recovery can apply to entire systems, businesses, networks, etc. For example, if an entire office’s computer network crashed, a major website went down, or a virus infected a branch of a company, data stored on the cloud could be preserved and recovered in each scenario. Finally, you can also enjoy specific control over file transfers, storage options, etc., which is particularly useful for those in charge of larger networks or businesses. Full control over who can access which files, etc., gives you unprecedented management of your company’s online data sharing and access. Zoutons.Com – Smart Way Of Saving In Online Shopping!